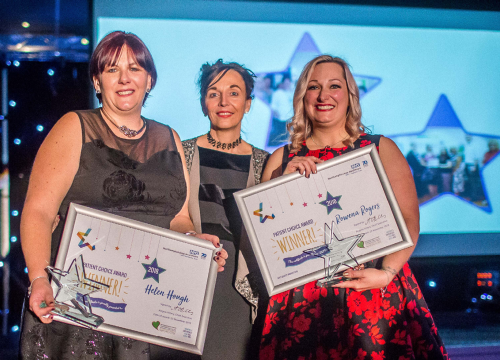 The NHFT Quality Awards are a chance to celebrate and share good practice, recognising those who deliver quality care and generate a sense of pride amongst our staff. Regular awards take place throughout the year so that staff can enter a number of categories. Each of the winners is then entered into a contender list for the annual awards ceremony held towards the end of the year. So, for some, there may be a chance to win twice in a year! We have nine award categories, two of which (the Patient Choice and Anne McWatt Award) are open to patients, service users, carers and families to vote. Six of the awards are open three times a year and three are annual awards. More information about the Patient Choice and Anne McWatt Ward can be found below. This award is an opportunity for our patients, service users, carers and families to vote for their staff/team choice for leading and providing compassionate care. If you want to recognise and celebrate excellent care through the patient's experience, please complete the nomination form below. If you need assistance with this form or have any questions, please contact us via the Quality Award contact details. The Anne McWatt Award is a celebration of the life and work of Anne McWatt, who worked tirelessly for many years with the Trust as the patient and advice liaison service manager (PALS). She worked hard promoting and supporting service user and carer involvement. Sadly, Anne was diagnosed with cancer and passed away on Christmas Eve, 2010. The Anne McWatt award was introduced in 2012 in memory of her dedication to the PALS manager role. This annual award is open to all service users, carers, relatives, clinical staff, non-clinical staff and others who use the Trust's services. The award is given for significant contribution to service user and carer involvement, through the use of innovative practices and any tools available to them. 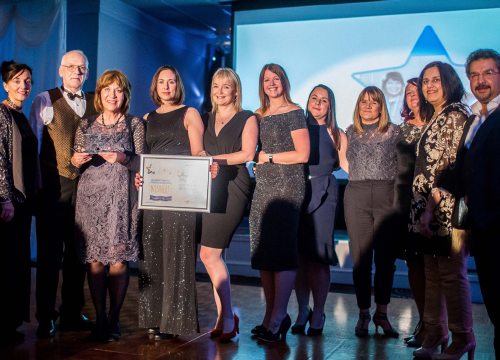 The winner demonstrates that they always put the patients, service users and carers experience at the heart of everything they do to make a demonstrable difference. If your experience with a staff member or team has been exceptional and fits within the criteria above, please complete the nomination form below. If you need assistance with this form or have any questions, please contact us via the Quality Award contact details. On the 11 November 2016 we celebrated all our 2016 winners. You can view the award presentation from the evening and see all our nominees in the video below. This award is an opportunity for our patients, service users, carers and families to vote for their choice for the staff member who leads and provides compassionate care. It recognises and celebrates excellent care through the patient’s experience. This annual award is open to all service users, carers, relatives, clinical staff, non-clinical staff and others who use the Trust’s services. The award is given for significant contribution to service user and carer involvement, through the use of innovative practices and any tools available to them. They always put the patients, service users and carer experience at the heart of everything they do and make a demonstrable difference.